Many people love to drink coffee, It is known to provide an energy boost and also warms up the body during cold winter days. Although many of us love this drink, we are not vast with its history and the machines that make them. Without coffee machines, this beverage would have not probably been the most popular in the world. When it comes to coffee makers, there is a wide variety to choose from. While many people go for the most cheapest available options, I can guarantee you that it will never ever make you that perfect cup of joy. It will not hurt you to spend a little extra cash for a better design, functionality and longevity. You do not have to ruin the look of your kitchen by just having a cheap looking tacky coffee maker. 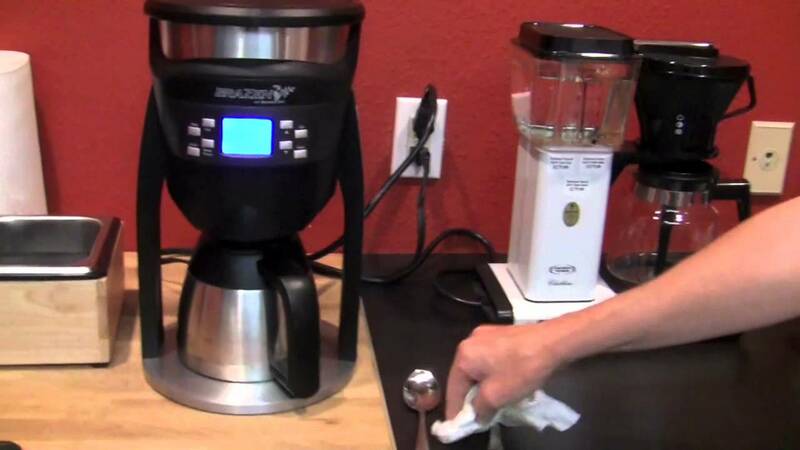 For that reason, let me introduce you to the Behmor Brazen Plus coffee maker. The brewing temperature of water essential for ideal coffee extraction is between 195 to 205 Fahrenheit. The brazen plus coffee maker has been installed with a temperature range of between 190 and 210 Fahrenheit which is just perfect for your perfect cup of coffee. Unlike other coffee makers, the brazen plus can allow a pre soak time of between 15 seconds to about 4 minuses. This works best with freshly ground coffee beans. During pre soak, little amount of water is usually put into the beans to allow the coffee to bloom before the extraction process proceeds. Pre soaking of freshly ground coffee makes the coffee have a mature and eccentric taste. The main key to amazing brewed coffee is to have the coffee grounds fully saturated. The brazen plus has an over sized shower head which usually puts water to create turbulence in the bed of the coffee grounds in order to fully salurate them. Yes, with Brazen plus coffee machine, you can wake up to brewed coffee. You can be able to easily program this machine to have your coffee brewed at a specific time. In a brazen plus, the coffee is usually brewed in a two wall stainless steel carafe. The carafe lets you maintain the coffee temperature for hours without using a warming burner. With the brew through lid, the heat is also kept in during brewing. The brazen plus is also equipped with a stainless healer which easily identifies descaling if need be. Just to prove that this is the best, the brazen plus has been certified by the Coffee Association of America having met all of their standards. The innovation of the Brazen plus with the temperature control brew system has the potential of giving you your favorite roast which you cannot easily get from other commercial brewers. This machine may be a little bit costly, but it is worth it.